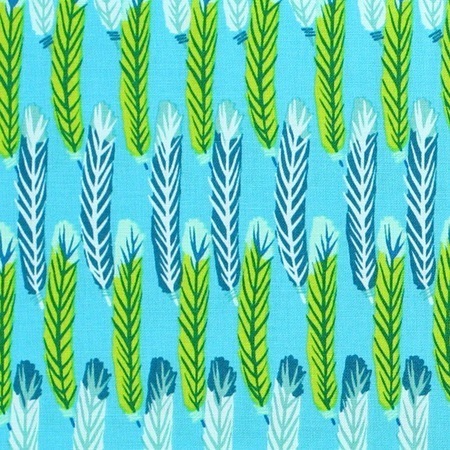 Feathered Stripes in teal, from the Feathered collection by designer Zandra Rhodes. The Feathered collection was inspired by the use of feathers by American Indians. Zandra uses traditional feathers in cross stitch patterns and modern zig zags.